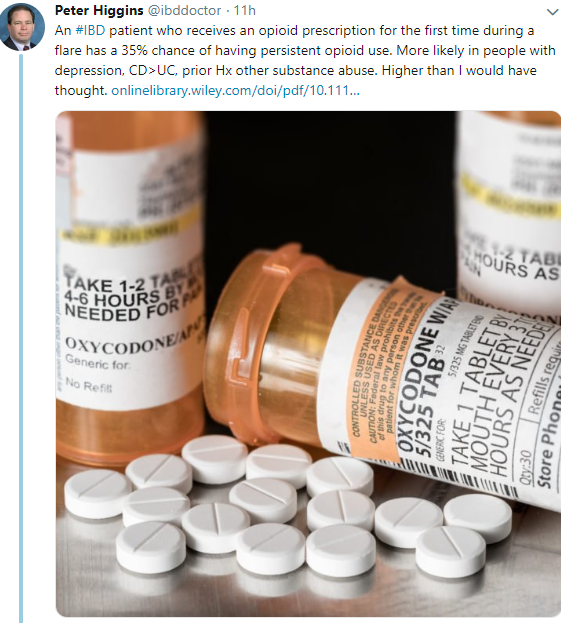 My take: As noted in previous blog (Increased Narcotic Usage in Pediatric Patients with IBD), opioid usage is an issue with pediatric IBD patients as well, particularly in those with associated depression and/or anxiety. A recent retrospective study (NE Burr et al. 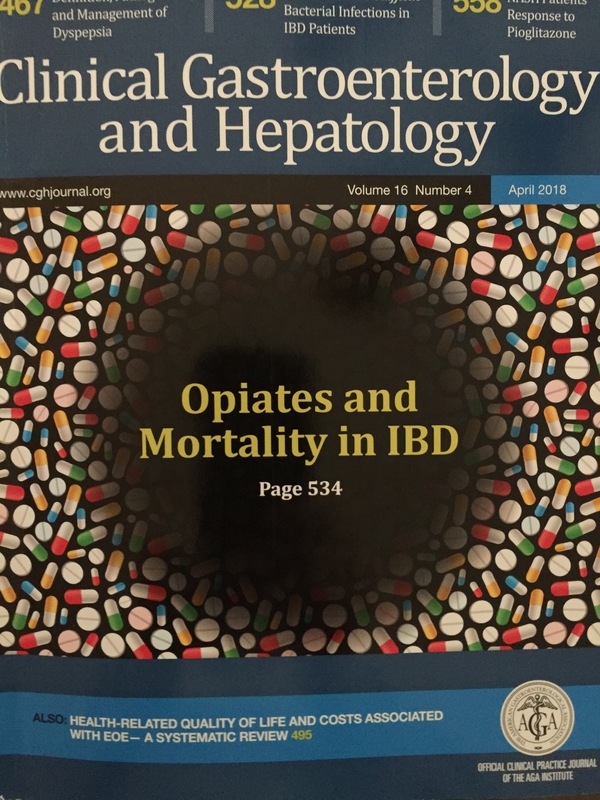 Clin Gastroenterol Hepatol 2018; 16: 534-41) with 3517 patient’s with Crohn’s disease (CD) and 5349 with ulcerative colitis (UC) examined the frequency of opioid prescriptions and the relationship to fatal outcomes. Compared to 1990-93, the period of 2010-13 saw a sharp rise in the use of opiods in England: 10% compared to 30%. Prescription of strong opioids (>3 prescriptions per calendar year) was associated with premature mortality: Hazard ratio 2.18 for CD and 3.3 for UC. 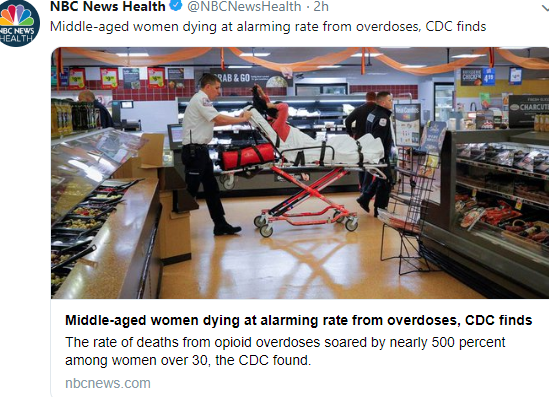 This study is in agreement with other data showing increasing use of opiate prescriptions worldwide for chronic noncancer pain (although there has been a drop in the past year). As with other studies of patients with inflammatory bowel disease, this study shows an association between opioid use and mortality. My take: Needing an opioid may be a marker for more severe disease. Whether the opioid use directly contributes to mortality remains unclear. 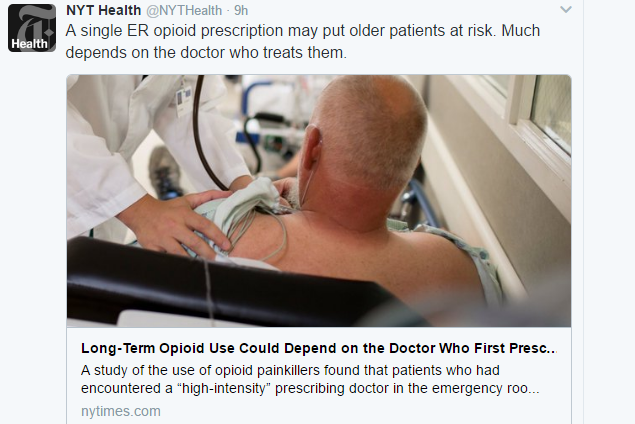 In a recent article (NEJM 2017; 376: 663-73), ML Barnett show that opioid-prescribing patterns of emergency physicians may increase the risk of long-term use. By focusing on variation of prescribing practices among physicians at the same hospitals and with a sample size of ~380,000 patients, the authors provide convincing data that starting opioids even for an intended brief period can have lasting consequences. This study focused on medicare beneficiaries (average age ~68 yrs) who received narcotics from either higher-frequency or lower-frequency physician prescribers. My take: Starting a narcotic may be the first step in a long treacherous road.